Do you do everything right—get to bed early, have one of those wave sound machines, wake up according to your sleep cycle—but still wake up exhausted in the morning? One of these hidden causes may be to blame. If you skimp on leafy greens, beans and nuts you may be low in magnesium, a mineral important for a good night’s sleep. "Magnesium is a crucial mineral our bodies need for the function of GABA receptors, which exist throughout all areas of the brain and nervous system,” says Carolyn Dean, M.D., N.D., author of 30 books including The Miracle of Magnesium. “This calming neurotransmitter enables the brain to ‘switch off.’ Without it, we remain stressed and tense, our thoughts race and we don't get a restful night's sleep.” The recommended daily allowance (RDA) for magnesium for women 19 to 30 years old is 310 milligrams—that’s just 2 cups of leafy greens or (even better) 3 squares of dark chocolate. Eating at the drive-thru on a regular basis does more than wreck your waistline; it can also cause sleepiness, according to a study published in the journal SLEEP. The study links a higher fat consumption with increased daytime sleepiness, regardless of the total amount of sleep you get at night. Participants included both men and women who ranged in age from 18 to 65. Stick with a healthy, low-fat diet if you want to fit into your skinny jeans and stay awake. Traveling across several time zones and working the late shift have one thing in common: They disrupt the body’s natural clock. 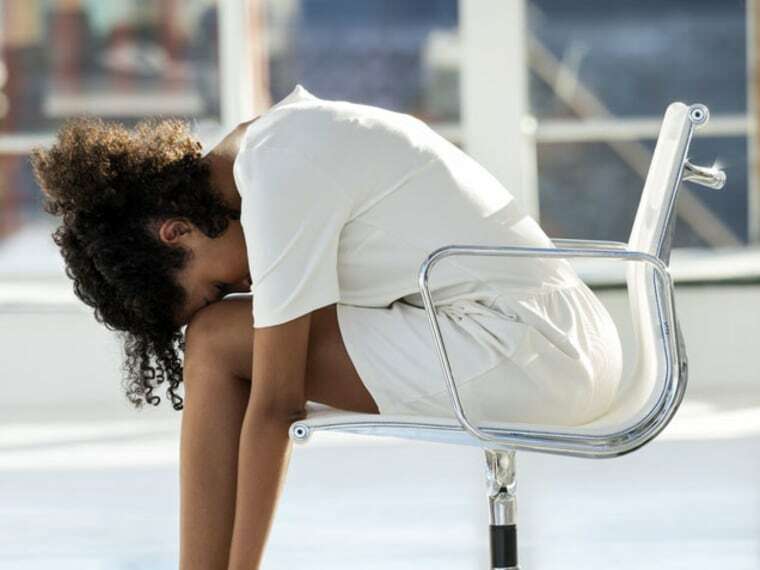 This can cause you to feel tired even if you get enough sleep, says Allen Towfigh, M.D., board certified sleep medicine doctor and neurologist affiliated with Weill Cornell Medical Center/New York Presbyterian Hospital in New York City. “Your body releases hormones and chemicals, such as melatonin, at precise times which are set to your geographical location.” The resulting fatigue continues until your internal clock resets to your new time zone or you start going to bed at a normal bedtime. It may sound counterintuitive, but sleeping pills can wind up making you feel more tired when you wake up, says Towfigh. “Drugs that help us fall asleep may change our natural sleep pattern or ‘sleep architecture.’ Next-day grogginess relates to the dosage and how long the drug stays in our bodies. The higher the dosage, the more likely you are to wake up feeling tired.” Start a new medication on the weekend to assess its effects before using them on a weekday, suggests Towfigh. Stressed out? You may be taking out your frustrations out in your sleep. Called bruxism, teeth grinding uses all the muscles surrounding your jaw and skull, says Tim Chase, D.M.D., a practicing partner at SmilesNY, a cosmetic dentistry practice in New York City. “Imagine how tired your arm would feel if you were doing biceps curls all night while you slept,” says Chase. No wonder you wake up tired. Bruxism can also wear down the enamel of the teeth over time. See your dentist if you suspect bruxism to discuss treatment options. Might be time for a retainer. Waking up with a dry mouth isn’t a problem on its own, but it may indicate a breathing problem that disrupts your sleep. “Respiratory ailments such as asthma, sleep apnea or a deviated septum may lead to mouth breathing and a dry mouth,” says Towfigh. If you suspect you may be mouth breathing, try using nasal strips or a nostril dilator, which allow more air into the nose, suggests Towfigh. See your doctor if the problem continues or you suspect a respiratory condition. If your partner says you snore and you wake during the night with shortness of breath, you may have sleep apnea. “Sleep apnea can be one of the most common sleep disorders that affect women during perimenopause,” says Michael Coppola, M.D., chief medical officer of medical affairs at NovaSom.com and past president of the American Sleep Apnea Association. “Studies suggest that lower levels of estrogen are the main cause of many cases of sleep apnea.” Not only does sleep apnea make you drowsy by cutting into your restful sleep, but it also raises the risk of high blood pressure. See a doctor if you suspect a problem.